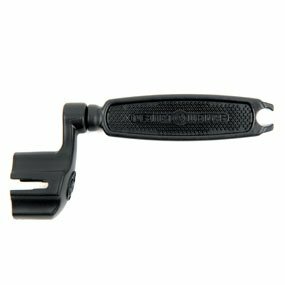 The Planet Waves Ergonomic Peg Winder with built-in string stretcher and bridge pin puller is precision molded and specially designed to fit virtually all guitars, banjos, and mandolins. Unlike most other peg winders, the Planet Waves Peg Winder is ergonomically designed and built tough to withstand years of use. A great way to have easier and faster string changes.